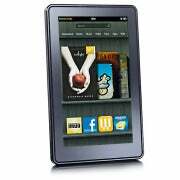 If you have a Kindle Fire, and you've rooted the tablet to install Android Market apps and make other adjustments, prepare to do it all over again: the latest Kindle Fire software update, version 6.2, removes root access from the device. Amazon is delivering the update automatically over Wi-Fi, and there's no easy way to avoid it. But we're seeing mixed reports on whether the update simply removes root access, or wipes out the Android Market and other modifications. Some users on the XDA Developers forums say the update actually removes the Market and any customizations from the Kindle Fire, such as custom wallpapers, battery charge icons, and keyboards. They also say the update restores any pre-loaded apps that users had deleted. Liliputing's Brad Linder, however, reports that the update didn't remove the Android Market on his tablet. Any apps installed from outside Amazon's Appstore should remain intact after the update. Aside from removing root access, and possibly undoing customizations, it's not clear what else the Kindle Fire 6.2 software update is meant to accomplish. Amazon's release notes only say the update "provides improvements to the operation of your Kindle Fire." The company did not immediately respond to a request for comment. The good news is that users can root their devices again, and reinstall the Android Market if necessary. Still, this software update suggests that Amazon wants take a stand against hacking, and for good reason: Amazon reportedly sells the Kindle Fire at a loss, with hopes of making the money back on content. That's harder to do when users can get their apps from elsewhere.